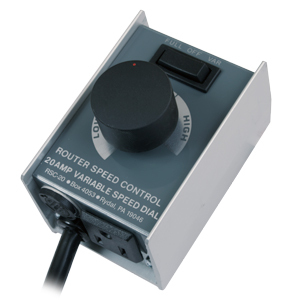 This is an economical 15-amp switch, designed for use with scroll saws, sanders, lathes, router tables, or any bench-top tool application. The switch includes a 5-1/2' grounded cord with a 3-pin end and a 3-pin receptacle above the switch. A large paddle switch with removable child protective lock is easy to locate and turn the tool off. The housing is constructed from high impact plastic and the switch’s rear plate is made of heavy gauge steel with mounting tabs at the top and bottom. Every router table needs a power switch--it's unacceptably dangerous, not to mention awkward, to use the switch on the router itself, buried out of sight beneath the table. This ready-to-use accessory lets you mount a switched power outlet right where you need it at the front of your router table or other shop-made fixture. It's a lockable switch; if you have small children around the shop, just remove the toggle tip to make the router table safe from unauthorized start-up. The switch controls power to a built-in 110-volt receptacle which handles loads up to 15 amps--plenty for any 110-volt router on the market. Screw tabs allow easy surface mounting wherever convenient. 5-3/4" long x 2-1/2" wide x 3" deep. Comes with 5 ft. power cord. Add Safety and convenience to your router table with this incredibly handy power switch from Kreg tools. The switch features a 2-plug design which allows it to control two independent devices at once. The Key-Lock™ eliminates accidental power-on and has a long 8ft. heavy duty 14 gauge power cord. 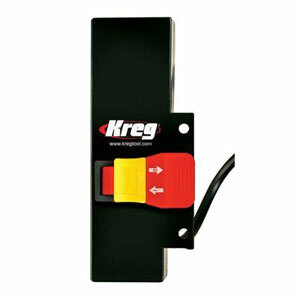 The Kreg power switch will mount and work with most router tables, stands and routers. For use with scroll saws, drill presses power carving tools, or other stationary power tools that the user wants to turn on and off without using the manual switch. Just plug your tool into the foot switch and the press foot switch down to turn power on, then press switch down again to turn the power off. Use its generous 6-1/2 ' cord to locate the switch in a convenient position. Great for 115 Volt tools up to 15 amps. Runs continuously for dust collection or for any activity where it is safe to leave machine unattended. Simply step on pedal to activate, step again to deactivate. 15 Amp. 8 ft. cord. Operate your router, scroll saw and other tools with hands-free convenience. This spring loaded safety switch turns on the tool when you press the switch down and turns off the tool when you lift your foot from the pedal. 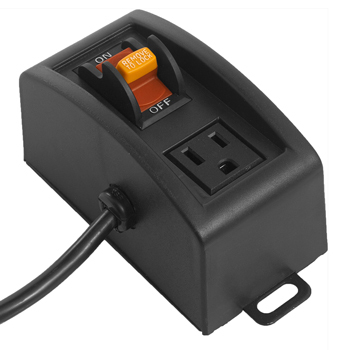 Simply plug our foot switch into your electrical outlet, then plug your tool into the Deadman Foot switch 15 Amp. Includes 6-1/2' foot cord. Operate your router and other tools with hands-free convenience. 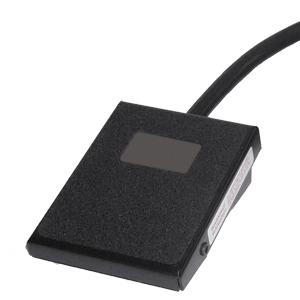 The deadman switch is a spring loaded safety switch that turns off the tool when you lift your foot from the pedal. Simply plug our foot switch into your electrical outlet, then plug your tool into the Billy Pedal. 15 Amp. Includes 8 foot cord. The i-Socket Autoswitch will automatically turn on the shop vacuum or dust collector when the power tool is switched ON and continue running after the tool is powered off to clean out the inlet pipe. Connect a vacuum hose to the dust collection port of the tool. Plug the i-Socket Autoswitch into any standard 15A/120V house outlet. Tool plugs into the "TOOL" outlet. Vacuum plugs into the "VAC" outlet. The vacuum switch must be in the ON position for auto-startup. Intelligent plug-in switch automatically controls a vacuum or dust collector through the power tool's on/off switch! 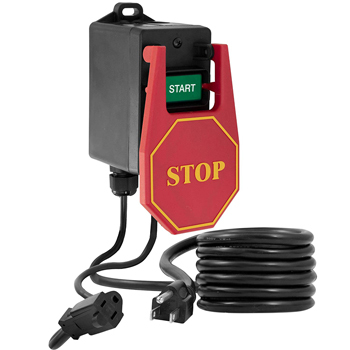 On-board micro-controller controls the in-rush of current and delays vacuum shut off by 7 seconds to clean out hose. The i-Socket Autoswitch is not intended for commercial use. 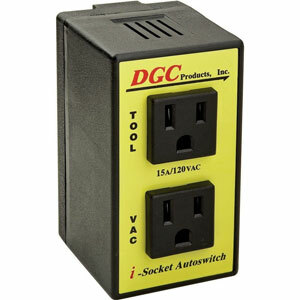 It was designed to be used in the home workshop on a standard 120v/15amp house outlet. If used on a 20amp breaker the i-Socket Autoswitch will function properly but all tool and vacuum standards must still comply with the 120v/15amp ratings. Max. 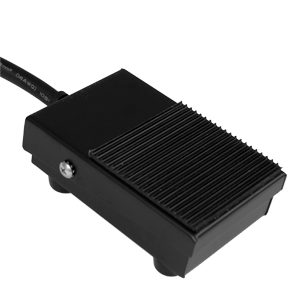 motor rating should not exceed 120v, 15amps, 60 Hz, 1875 Watts. Table saws from portable to contractor type. Miter Saws both 10” and 12”. Any hand sander palm, DA, belt sander. Routers. Portable joiners or planers. Any standard shop type vacuum will run on the i-Socket. Vacuum motor HP should not exceed 1875 Watts. Dust collector motor should be rated at 120v/15amps and HP should not exceed 1875 Watts. Power feeders can also be controlled from the vacuum port. Adjustable speed from 0 RPM to full speed, 3 position rocker switch-Variable / Off / Full Speed, Full power and torque at all speeds, Sturdy Aluminum Case. Go back and forth from any preset speed to full speed at the flip of a switch. Works with all routers 3-1/4 HP or less. 120V, 20AMP. Give your router a feature only available on routers costing hundreds of dollars. Easy to use-Simply plug in speed control and plug your router into the speed control- turn dial slowly for best results. (Speed control has a clip that can be worn on your belt, hung on wall, or left loose). Using a speed control decreases tear out, stops burning, lets you feed at comfortable rate, provides better, safer results with large diameter panel raising bits, decreases wear on bits, makes less noise, and allows softer starts at lower speeds. A Dust Cover is included (not shown in photo). NOTE: Will not work with soft start or variable speed routers.